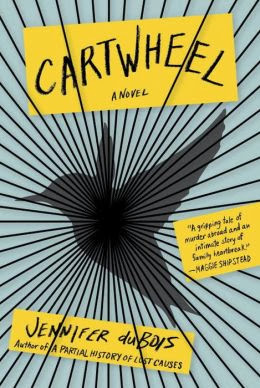 Written with the riveting storytelling of authors like Emma Donoghue, Adam Johnson, Ann Patchett, and Curtis Sittenfeld, Cartwheel is a suspenseful and haunting novel of an American foreign exchange student arrested for murder, and a father trying to hold his family together. A Bookish Libraria is pleased to be able to host Ms du Bois in this small question and answer guest spot. Thank you for coming on board with us today, Jennifer. 1) Briefly, from where did the idea for your novel germinate? Cartwheel’s themes were loosely inspired by the case of Amanda Knox—the American foreign exchange student tried, convicted, and then acquitted of murdering her roommate in Italy. What fascinated me about that case was the way it seemed to animate opinions that were sharply divergent, but often similarly confident. 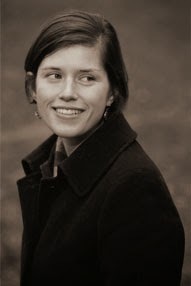 Lots of people looked at Amanda Knox and saw someone who seemed obviously guilty, lots of other people saw someone who seemed obviously innocent, and much of the time these assessments were inflected by feelings about a range of broader issues: gender, sexuality, American entitlement, anti-American resentment, class, privilege, etc. I liked the idea of using a totally fictional landscape to explore the ways that different people can look at the same person or situation and come to radically different conclusions. 2) What’s the worst job you’ve ever had? I’ve had a lot of weird jobs. During college I worked in the coat check at the Wang Center in Boston, as well as at a couple of movie theaters—one time I served popcorn to Robert Reich (big thrill for a political science major). I got to be a runner for NBC during the Democratic National Convention of 2004, which was a lot of Swiffering of trailers and taking of sandwich orders and was somehow enormously fun. I’ve written several AP exam guides, usually under incredibly punishing schedules, with jokes that tend to get weirder and darker the closer I get to a deadline. I was writing one of those the week my father died, which was pretty surreal. In graduate school I spent a summer grading short essay tests written by sixth graders about the various characteristics of bald eagles. That was after being rejected by Cold Stone Creamery, I think for insufficient enthusiasm—I’d forgotten about the singing for tips thing when I went to the interview. It was 2009, so those were dark days. 3) What’s your most treasured possession? A bird music box I listened to every night when I was a child. 4) Are you working on a new novel? Yes! It’s set in New York City, mostly in the 1990s. Can't wait to read this new book, Jennifer. And, I think those jobs of yours sound weirdly amazing. You've had some strange contacts in your life! Lots of good fodder for books... I truly believe we're going to be hearing more and more good things about "Cartwheel" in the coming months, as well. Thanks again for stopping by and chatting with us. "Cartwheel" is a book written with razor sharp style. It's spellbinding. While it's a novel loosely based on the Amanda Knox trial, it's more a study of the behind the scenes peoples involved. I can't tell you how absorbing this story is. It left me holding my breath, thinking about how even the smallest words we speak can be twisted and turned to mean something else in the hands of someone who might have another agenda. There is a horror to this that's underlying "Cartwheel." Jennifer du Bois writes like she's lived inside the minds of her characters. The story spins madly as the truth of what happened to cause a young American girl kill or not kill her room mate is attempted to be uncovered: hashed and rehashed, tossed and turned by all who love and hate and don't even know her. And the simple act of a cartwheel becomes a pivotal point upon which so much importance is held in the balance. While we get sketches of the Amanda counter part, Lily, in the book, the characters highlighted and who enthralled me were her parents, her sister, and the Argentine Prosecutor. The psychological study of these four people is profound and detailed. I felt I was privy to their deepest thoughts and ironic feelings. Jennifer digs deep in her study of them. This is the most comprehensive picture of a family under crisis, and the primary target of a pre-trial (Lily) that I can ever remember reading real or imagined. It's genius. Lily is a curiosity as well as a victim in the story...a revolving door upon which others pit their own imaginations, discoveries and feelings. Aside from all this, Ms du Bois is no slouch when it comes to the American language. Get out your dictionaries. I found it one of the few books I've had to! Her use of the vernacular is sparkling and so refreshing in a world of the urbane. Truly, there were some vocabulary words here that kept me on my toes, happily.